Matt Griffith is what you would call a “jack-of-all-trades”. 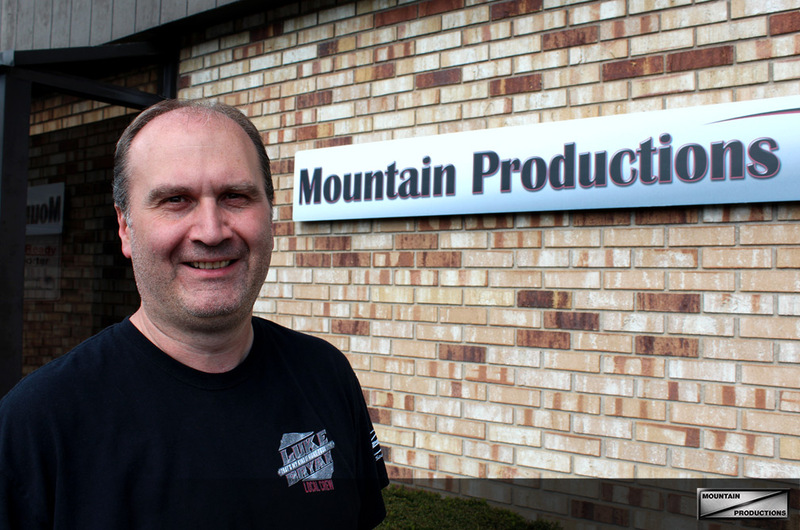 Since his arrival at Mountain Productions in 2008, Griffith quickly established himself as an invaluable asset to the team, completing work and providing assistance to nearly every department in the company. Although his initial role based him in Mountain’s engineering department, Griffith now serves as Mountain’s Director of Internal Operations. The famous Shakespearean line, if taken literally, is a perfect representation of Paul Serkosky, P.E.,’s career with Mountain Productions. Serkosky, who serves as Mountain Productions’ Director of Engineering, has earned a reputation as one of the event production industry’s most skilled, experienced and proficient engineers. 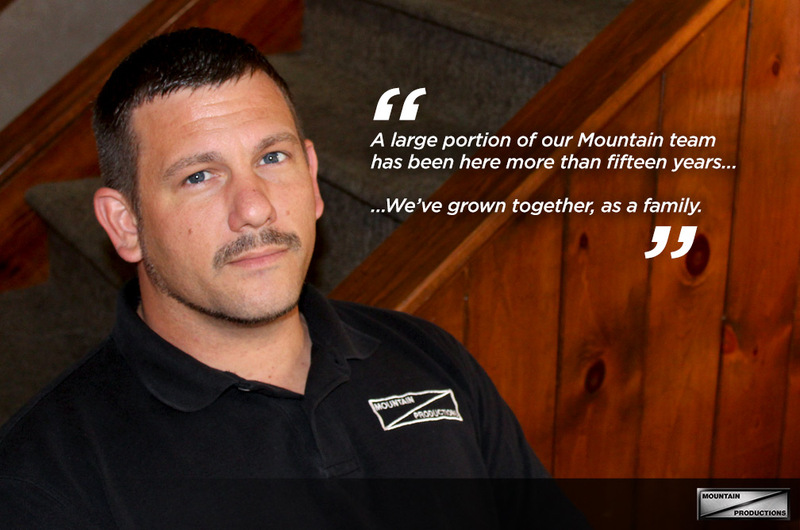 One of Mountain Productions’ most loyal and experienced team members knows the value of longevity. On June 13, 1984, Ronald “Wilky” Wilkinson was offered a two week job by Steve Thomas that sparked a lifelong career. This “two week” stint ended up occupying Wilky’s time until Thanksgiving and, in February of 1985, he was invited to the first ever CM Hoist School hosted by Mountain Productions. It was then that he was offered and accepted a full-time position within the growing company. At sixteen year’s old, Bryan Ellis walked onto the Mountain Productions campus and has been a part of the family ever since. Ellis currently serves as the Director of Staging Sales, acting as a liaison for current and potential clients. In this role, the Wyoming Valley native is dedicated to understanding our clients’ staging needs, alleviating any of their concerns and exceeding their expectations. Bryan brings a level of passion, experience and professionalism to every client and event. Bryan’s expertise and skillset are the result of more than two decades with Mountain Productions. He began his career while still in high school and has seen the company evolve throughout his own development. The newest member of the Mountain Productions team is far from inexperienced. Bill Davis has taken on the position of hoist and rigging sales representative, bringing with him more than 25 years of experience in the entertainment industry. Davis has served as a stagehand since the early ‘90s, but has taken on a number of other roles throughout the years. He got his start by helping out local bands and found himself working for a local amphitheater, soon after. While he started off as a truck loader, he quickly found himself serving as a promoter for the venue and different events throughout the region.